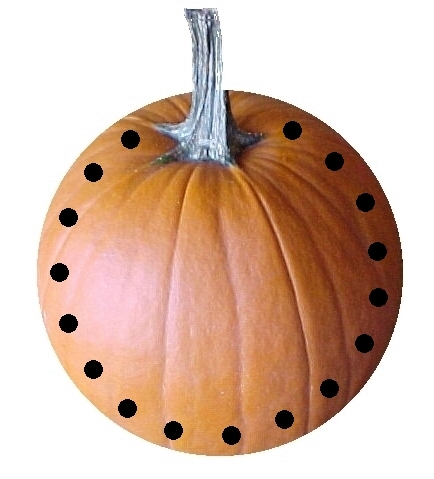 Directions: Lace the pumpkin with yarn provided. This project is designed to improve eye hand coordination. Run off outline of a pumpkin on orange piece of construction paper. Punch holes around the perimeter. Make laces by dipping the ends of yarn in Elmer's glue. Be sure ends are dry before time of class.